(CNN) — Who loves Guinness more than the Irish? Well, there’s the UK: That’s the world’s biggest market for Guinness. And then there’s Nigeria, which overtook Ireland as the world’s second-biggest Guinness market 10 years ago. 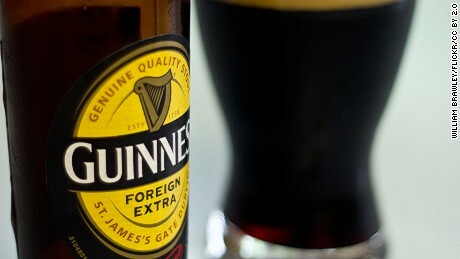 Cameroon is the fourth-biggest market for Guinness and the beer is also brewed in Kenya, Uganda and Namibia. Africa, with its $13 billion beer market, is the biggest source of beer sales for the owners of Guinness, the British multinational Diageo. So how did the dark, tangy porter beer first brewed by Arthur Guinness in Dublin in 1759 come to win the hearts and minds of beer lovers on another continent? Dated December 14, 1801, it details the unique mix of roasted, malted barley, hops, yeast and water that made up the original Guinness West Indies Porter: a beer born to travel. “It really is one of the most precious documents that we hold,” says Archive Manager Eibhlin Colgan. Guinness recently introduced a new porter modeled on its 1801 recipe. If there’s one thing about Guinness you’ll hear bandied about more than any other, it’s that the world’s most famous porter does not travel well. It’s said the black stuff tastes better in Ireland than anywhere else and, local lore has it, the best pint in Dublin’s Fair City is poured at Mulligan’s on Poolbeg Street. But Guinness didn’t get to be the global powerhouse it is today by only catering to taste buds lucky enough to be on Eire’s soil. When Arthur’s son, Arthur Guinness II, took the reins in 1803, the beer empire began to grow — and it followed the routes already created by the British Empire. Especially brewed to survive long sea journeys, Guinness West Indies Porter was hoppier than regular Draught Guinness — and stronger too. In 1817, eight barrels of porter journeyed across the Atlantic to South Carolina. By 1827, Guinness was being drunk in Africa, and by 1858 it had made it all the way to New Zealand. At this time, Ireland was still governed by Britain and Arthur Guinness — despite the patriotic associations his beer has today — was a committed unionist and opponent of Irish nationalism. Porter itself — so called because of the dark beer’s popularity with London’s street and river porters — is actually an English invention. But it was Ireland which made porter known around the world. Guinness Foreign Extra Stout: The full-blooded Guinness loved by Nigerians. (William Brawley/Flickr/CC by 2.0). The British Empire may be gone, but the Guinness empire remains. In 1962 — two years after Nigeria gained independence from the UK — Lagos became home to the first Guinness brewery outside of the United Kingdom. More breweries soon followed. Today, Guinness is available in more than 100 countries worldwide and is brewed in almost 50. Guinness Foreign Extra Stout is the 21st-century descendant of the original West India Porter. It’s stronger, heavier and punchier than regular Guinness, with a powerful 7.5% ABV. This is the Guinness variant you’ll most often find in Africa, Asia and the Caribbean — brewed on home turf. 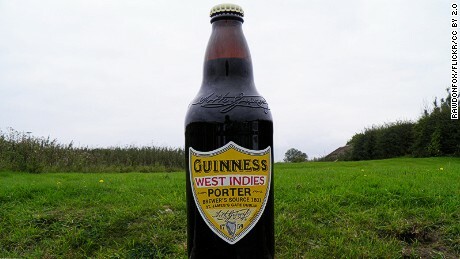 In 2014, Guinness also introduced a new 6% ABV version of Guinness West Indies Porter modeled on the original 1801 recipe. It’s part of a number of innovations which have helped Irish sales go up 4% in 2016, after several years of decline. But will they now reveal the magic mix? Not a chance.